When I was little, I loved spending the night with my grandparents, Nanny and Pop Vance, in Ramsey, Indiana. While Nanny would cook the best fried chicken ever made, I’d line up all of my Star Wars figures on the kitchen table and tell Pop the story of each and every one of them. And he’d just listen and smile. Inevitably we’d end up at the Pic-Pac grocery store in New Salisbury to grab one thing or another, and Pop would always buy me the latest issue of Famous Monsters magazine. Even though the color photo of John Carpenter’s The Thing plastering its bloody self across an Antarctic research station’s ceiling scarred my childhood, I still loved reading the articles and looking at pictures covering everything from classic Universal monsters to Arnold Schwarzenegger’s first Conan movie. That’s why I’m so excited that some VERY BIG NEWS has been broken on the website of a magazine that was so important to me while I was growing up. 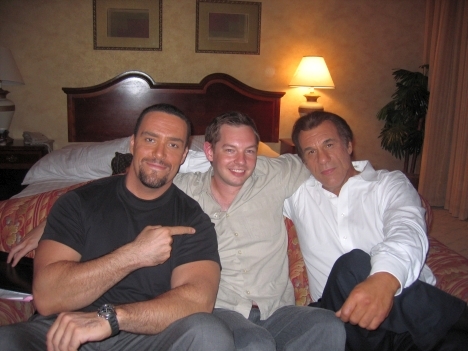 Russian actor, author, writer, producer, and bodybuilder Alexander Nevsky is making a Hercules movie. I can’t even begin to express how happy and proud I am to be a part of this. My uncle Richard once recorded Conan the Destroyer off of HBO for me, and I watched that tape every day before running around the woods behind my parents’ house with a plastic sword, slaying monsters and saving maidens. That’s what I want this movie to be. And I promise it’s going to be awesome. Thanks to my writing partner, brother, and friend Kevin Rice for convincing me we could write movies. 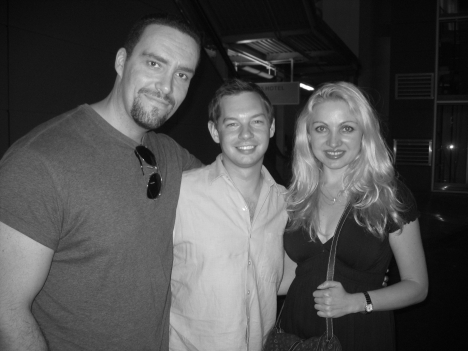 And HUGE thanks to Alexander Nevsky for believing in Kevin and me by asking us to help him tell this story. Kevin and I have worked really hard on this, and we’re infinitely proud of the plot that does some new and thrilling things with Hercules while honoring the classic mythology. Alexander has given us input, help, and direction every step of the way, and we truly believe this will be something mighty, magical, and massively awesome for action fans old and new. More news on this as it happens! 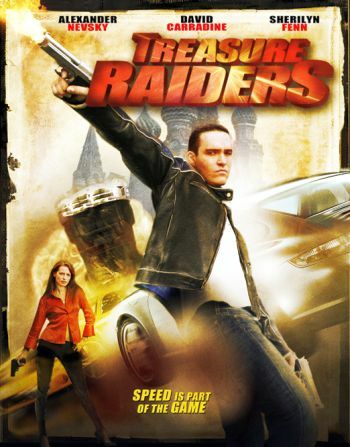 For more information about Alexander, his new movie Treasure Raiders arrives on DVD on June 2! His previous movie, Moscow Heat, is already available. I’ll post reviews of both of them here soon. In the meantime, you can become a fan of Alexander on his Facebook page. AWESOME!! Best of luck, my friend. Didn’t I tell you that one day we’d all be saying “I knew him when !” Keep the bar high and hang on my young friend. Your talent will take you far. It’s been good to know you. John, I’m sure I’ll love the Hercules story, and I already love the story of you writing the Hercules story. Don’t turn any back muscles. Wow! Am I reading this right? Is my buddy actually involved with this and rubbing elbows with the Hollywood elite? John, congrats my friend! :)I will do a quick post about this today or tomorrow. I am so happy for you! Your accomplishment with this has given me the inspiration to continue to move forward with my blog and plans for it in the future. I will be watching and waiting for further updates from you about this project. Thanks as always to all of you for your friendship and support. It really means a lot.